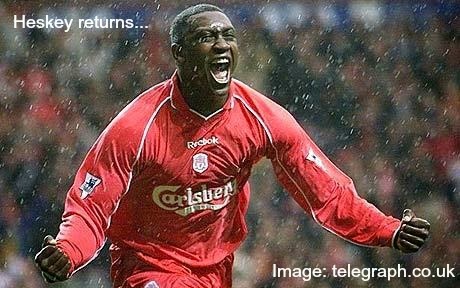 Liverpool welcome Bolton Wanderers to Anfield on Saturday evening for an FA Cup clash and in the process will welcome back ex Red Emile Heskey. He's sure to get a warm welcome as he steps out in front of the Kop but the Anfield faithful will be hoping his name does not end up on the score sheet. A much improved performance for the Reds against Chelsea in the League Cup on Tuesday evening has put Liverpool very much on a high. The downside for Brendan Rodgers of course is that he will have to manage his team selection with one eye on the must win second leg against Chelsea. Injury news for the Reds has been somewhat improved this week with Dejan Lovren, Mario Balotelli and Glen Johnson all back in training. For Bolton they have a growing injury list and are unable to call upon Lee Chung-yong, Marc Tierney, Craig Davies, Mark Davies and Max Clayton.